Alpha mannosidosis, an inherited genetic disease falls under the category of lysosomal storage disorders, is caused by a mutation in the alpha-mannosidase gene and is characterized by a variety of health problems to patients. The disease is highly individualized with its signs and symptoms, progression, and the severity usually showing wide variation from person to person. Some of the common problems faced are hampered intellectual ability, hearing loss, skeletal abnormalities, distorted facial features, weakened immune system, and cerebellar disorders. The progression of the disease is best understood as being classified under three types, viz., mild, moderate, and severe known as type 1, type 2, and type 3 respectively. In recent years, the sustained focus of governments in a number of emerging and developed nations to reduce the mortality rate caused by various rare diseases has opened up promising avenues for the growth of the market. The intensifying focus of several support and advocacy groups on better patient treatment and cures, mainly by developing patient-centered information, bodes well for the market. The alpha mannosidosis market is projected to rise at a healthy clip, driven by aforementioned factors. 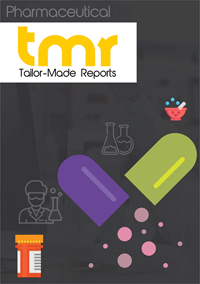 The report offers a comprehensive assessment of notable growth drivers and challenges, emerging trends, recent research and development activities in various regions, share and size of key segments, lucrative prospects, and the competitive landscape. The study takes a closer look at novel therapies and the regulatory framework governing their development in major regions. The market exclusivity offered to orphan drugs used for the treatment of alpha mannosidosis in various regions, particularly in the European Union and the U.S., is a primary factor driving the market. A large number of pharmaceutical companies have greatly benefitted to health policy decisions in these regions as these allows robust financial incentives for the development of the orphan drugs. The extended period of exclusivity offered to players in these nations has helped them recover the cost of the development of treatments and further garner profits through the premium pricing of these drugs. Furthermore, tax credits offered to drug manufacturers in countries such as the U.S. is aiding in the rapid expansion of the alpha mannosidosis market. In addition, the easy marketing approval for these pharmaceutical agents in some developed nations, notably the U.S., bodes well for the overall market. Other crucial factors contributing to the growth of the market include ongoing research for rare disease treatment, constant developments in bone marrow transplantation, and advancements in enzyme replacement therapies. The rising focus of research on personalized therapies for this rare disease is also expected as a catalyst in the growth of the alpha mannosidosis market. The lack of awareness of this rare disease owing to its complexity and the meagre profits earned by drug makers in some nations are noteworthy challenges that need to overcome for a favorable growth of the market. Regionally, North America is one of the most attractive markets for alpha mannosidosis and is anticipated to rise at an impressive pace. Favorable governmental policies in key economies, notably the Orphan Drug Act of 1983 in the U.S., and the relentless efforts of drug makers to launch new products are key factors boosting the regional market. Substantial clinical research in recent years are also expected to bode well for the market. In addition, the availability of massive federal research grants for the development of orphan drugs is also accentuating the regional market. On the other hand, Asia Pacific is projected to rise at a striking growth rate in the coming years. The growth is fueled by the rising awareness of treatments for alpha mannosidosis. A number of top players are focused on improving the route of administration for orphan drugs and are substantially spending in clinical trials pertaining to developing monotherapy products and combination drugs. Several players opt for mergers and acquisitions as one of the key strategies to gain a better foothold in the market. Prominent players operating in the alpha mannosidosis market include Cytomedix, Inc. and Zymenex A/S.